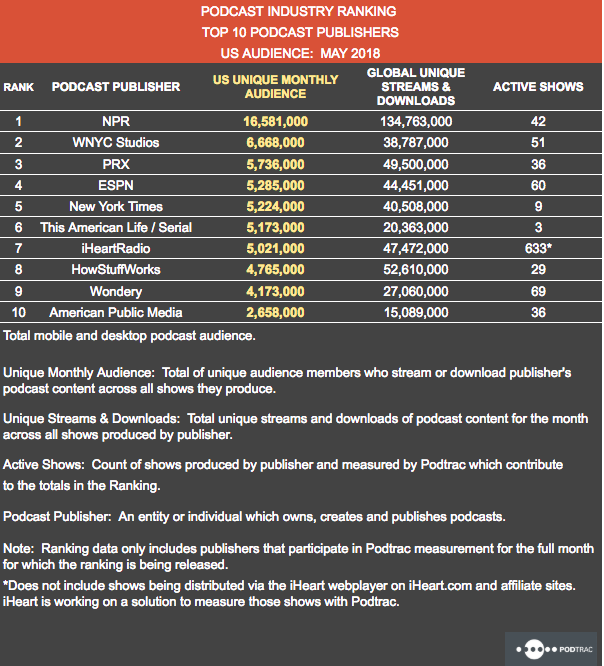 Podtrac has released its podcast publisher ranking for May 2018. Most of the same operations have returned from the April 2018 list. The only change in the participants is American Public Media edging out Barstool Sports for the tenth spot. Aside from that swap, the only shuffles are in the ordering. 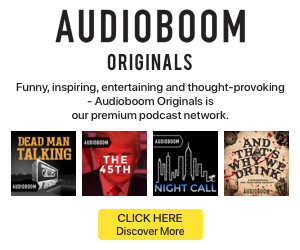 NPR remains in at the top of the heap with a massive audience lead. Its U.S. unique monthly audience for the month totaled more than 16.58 million and global unique streams and downloads surpassed 134.76 million. Eight of the top 10 publishers posted increases in their unique U.S. monthly audience over April. Overall for the top 10, total global downloads increased 7% from April 2018 and rose 88% over May 2017.